Under section 10(2) of the Basic Conditions of Employment Act (BCEA) it is mandatory to make overtime payment to an employee who earns less than the threshold of R193 805.00 per annum and who works overtime. Employees who were previously excluded but now earn below the new threshold are automatically entitled to be paid overtime. On the other hand, an employee earning above the threshold may be excluded from statutory overtime, but may have a claim for overtime in terms of an employment contract. Employees who earn more than R193 805.00, senior managerial employees, employees engaged as sales staff who travel to the premises of customers and who regulate their own hours of work and employees who work less than 24 hours a month for an employer do not enjoy the protection offered by certain sections (e.g., ordinary hours of work, overtime etc) of the BCEA. Employees in these categories who work overtime should be compensated at the normal rate/wage for the extra hours worked. In the absence of an agreement to work beyond the hours stipulated in the contract of employment, these employees may refer the employer to the contract of employment, and refuse to work the additional hours or overtime. If the contract stipulates that the employee may be required to work overtime as and when required, the employee is advised to negotiate with the employer in order to reach an agreement. A blatant refusal may lead to disciplinary action – especially if the instruction to work overtime is not unreasonable. For those employees earning less than R193 805.00 per annum, overtime starts once the employee has completed the ordinary hours of work. Hours in excess of either 8 or 9 per day, depending on the days worked in a week, are overtime hours and should be compensated accordingly. (c) eight hours in any day if the employee works on more than five days in a week. The phrase may not require or permit an employee to work… means that employers cannot force employees to work overtime. An employer may not require or permit an employee to work overtime except in accordance with an agreement. Employees therefore have to agree to work overtime, and may not agree to work overtime in excess of the maximum hours stated in the BCEA. Where an employee is contractually bound to work e.g., 40 hours per week, overtime starts with the 41st hour. Any argument (or agreement) that employees should first fill or complete the first 45 hours per week (or 195 hours per month) before overtime will be paid is invalid. Technically, an employee who has worked only 10 hours in one week may be entitled to overtime payment. The following could serve as an example: employee A who normally works a 6-day workweek, goes to work on Monday, works 10 hours and goes home. That evening the employee falls ill and stays away from work for the rest of the week. The employee has not yet completed a 45-hour workweek, but since this employee may not work more than 8 ordinary hours in any day, the employee is entitled to 2 hours of overtime payment at a rate of at least 1.5 times the employees wage. Section 10 of the BCEA limits the overtime worked by an employee to a maximum of 12 hours per day, and 10 hours per week. 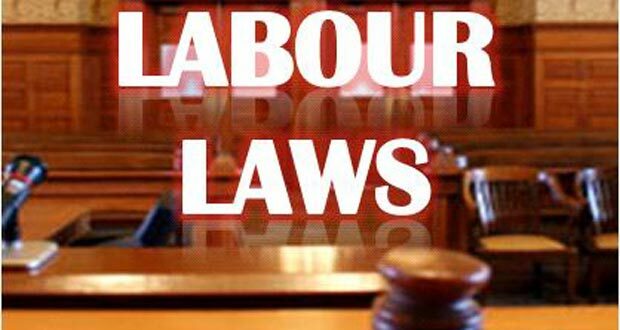 If an employer requires an employee who works 6 days in a week (and therefore 8 ordinary hours per day) to work 12 hours per day for 3 days, the employer is contravening the provisions of the BCEA. (c) grant the employee at least 90 minutes time off for each hour of overtime worked. An employer must grant paid time off within one month of the employee becoming entitled to it. It is important to note that an agreement (to work overtime) between an employer and an individual employee lapses after one year if it was concluded at the commencement of, or within the first three months of employment. In the absence of a renewal of such an agreement, employees may refuse to work overtime. In the matter of Khumalo / ARP Refrigeration Manufacturing  4 BALR 332 (MEIBC) the employee was informed that he would have to work overtime the next day, which he did not do. The question that the commissioner needed to answer was whether it was lawful to instruct, if at all, the employee to work overtime. The commissioner held that the only evidence that was presented was that of refusing to carry on working beyond the normal stipulated hours ie overtime. This is where the distinction is compared with a refusal to carry out a valid and reasonable instruction. To this extent therefore, the question that needs to be answered is whether it was lawful to instruct, if at all, the employee to work overtime. an employer may not require or permit an employee to (a) work overtime except in accordance with an agreement; and (b) more than 10 hours overtime a week. An agreement concluded in terms of section (1) with an employee when the employee commences employment or during the first three months of employment lapses after one year. The applicant in this case commenced work on 29 July 2002. It is therefore by far over a year. The instruction allegedly given by Michael Mosikidi was therefore unlawful. There was no evidence presented to show that this agreement was renewed by the parties. This situation creates a problem of enforcement. The applicants testimony was that he could not work overtime on that day because of a funeral he had to attend. On this ground alone, the applicant cannot be found guilty. He is indeed protected by the BCEA, in particular section 5. The employer was ordered to reinstate the employee.